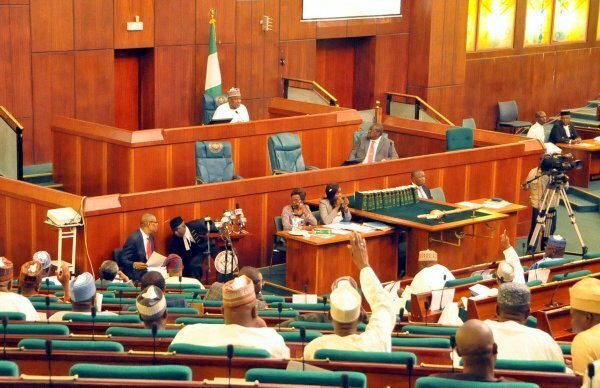 The Nigeria House of Representatives is currently in a rowdy session over President Muhammadu Buhari’s decision to declare June 12 as Nigeria’s Democracy Day. While some lawmakers supported it, others asked the president to rescind his decision. Some of the lawmakers also kicked against the honour given to Moshood Abiola, the presumed winner of the June 12, 1993 presidential election. Some lawmakers who also spoke on the issue said there is need to ensure the rule of law is followed regarding the matter, while others spoke in favour of the president’s decision. It may be recalled that President Muhammadu Buhari on Wednesday directed that effective 2019, Nigeria’s Democracy Day, marked every May 29 for the past 18 years, be shifted to June 12 to honour Mr Abiola. Mr Abiola won the polls but he was never formally declared winner and was not sworn into office by the military government of Ibrahim Babangida. Instead, he was imprisoned by then military dictator, Sani Abacha, while struggling to actualise his mandate. He died in prison in 1998. The Buhari government said Mr Abiola will now be conferred with nation’s highest honour, the Grand Commander of the Federal Republic, GCFR. The honour is exclusively conferred only on presidents and former presidents. The government also said Mr Abiola’s running mate in that election, Babagana Kingibe, is to be conferred with the second highest honour of the Grand Commander of the Niger, GCON. Also to receive a GCON is the late Nigeria’s foremost pro-democracy activist, Gani Fawehinmi. Mr Buhari’s move has been commended by several state governors and activists. It has, however, been criticised by some including the opposition party, PDP. Also, PREMIUM TIMES reported how a former chief justice of Nigeria, Alfa Belgore, described the post-humous award of national honours as illegal.